On September 11, 1973, a military junta violently took control of Chile, which was led at the time by President Salvador Allende. 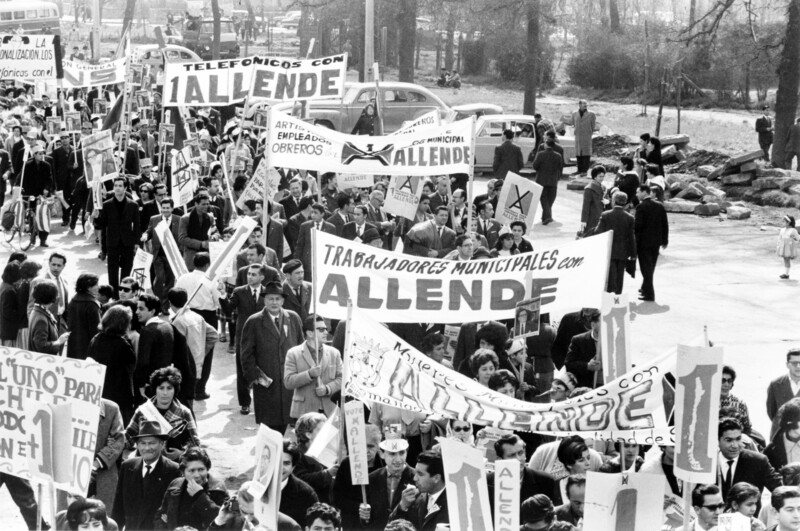 Allende had become president in a free and democratic election. After the military coup, General Augusto Pinochet took power and ruled Chile as a dictator until 1990. The military regime dissolved the congress, took control of the media and went about dismantling the socialist and democratic institutions that Allende’s government had built. 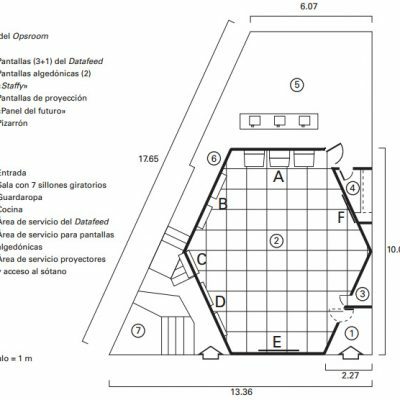 In the midst of this takeover, the military discovered a strange room in a nondescript office building in downtown Santiago. 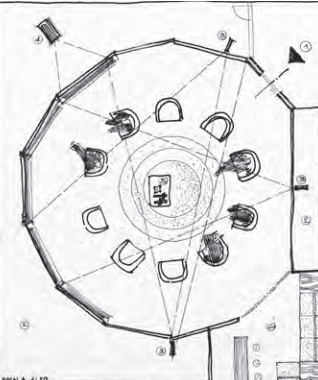 The room was hexagonal in shape with seven white fiberglass chairs arranged in an inward facing circle. 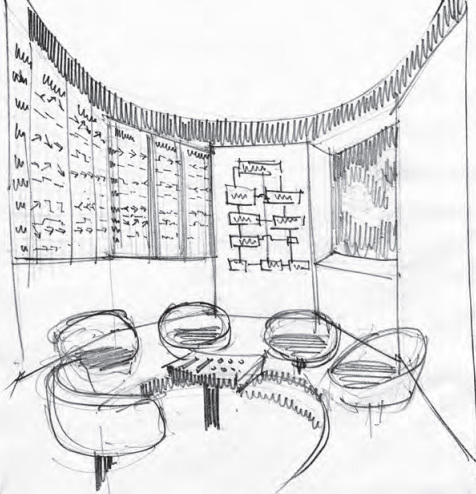 This “operations room” (or: opsroom) was the physical interface for a complex system called Cybersyn. It was an ambitious project in technology and design meant to help Chile’s socialist economy succeed. Allende hoped to show the world that Chile’s version of socialism would be different than the communist and socialist experiments in other countries. The constitution would be preserved and the press would not be censored. Civil liberties would be protected. The government began by increasing employment and wages as well as implementing agrarian reforms. Allende’s biggest challenge (and the challenge of all socialist revolutions generally) was to turn private business into public entities. Eventually, the government took control of around 150 enterprises, including some of the largest companies in Chile. But this enormous takeover presented a problem: the government had to manage all of this new industry, and make sure factories in Chile were able to keep producing enough goods for Chileans to buy. Fernando Flores, a Chilean advisor to Allende, had an idea for how to manage the Chilean economy. He wanted to use a relatively new science called Cybernetics. Cybernetics began to become popular around WWII. 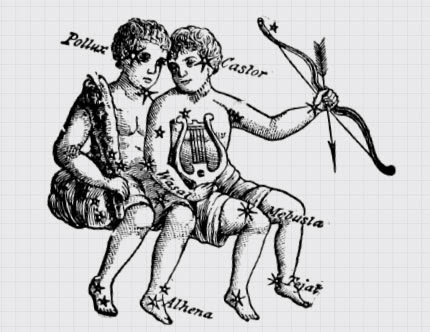 As humans developed new kinds of machines, they became interested in developing systems for controlling those machines. 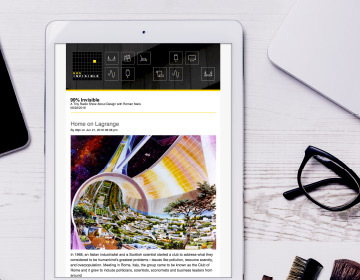 Cybernetics looks at how to design intelligent, self-correcting systems. 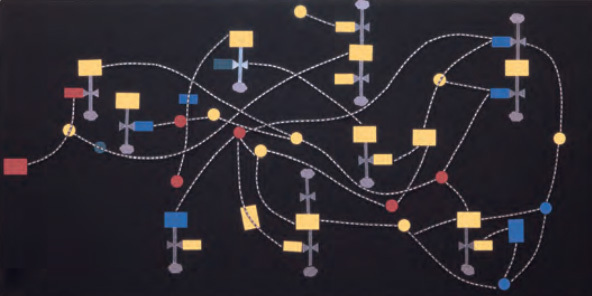 In England, in the 1960s, a business consultant named Stafford Beer was applying concepts of cybernetics to business management. He believed a business could be thought of as an intelligent system. 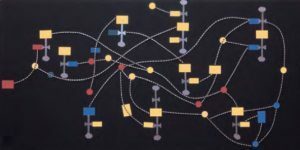 If the goal of a business is to sell more product, or work more efficiently, one could (using the principles of cybernetics) design the system to work toward that goal. 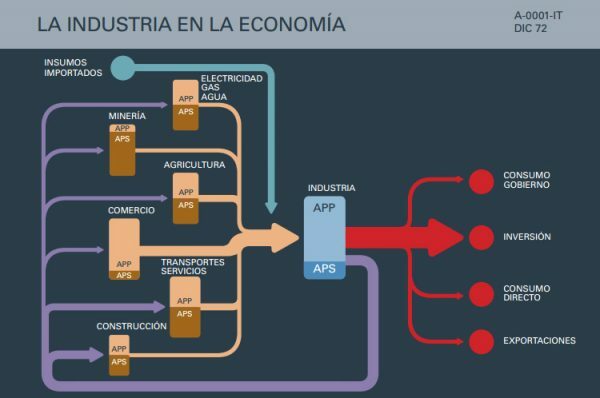 Stafford Beer first set about making a cybernetic model of Chile’s economy that mapped out how all of the different parts of the economy connected within the larger system. Beer also wanted to enable the different parts of the Chilean economy to communicate easily with each other and thought computers could help accomplish this. Stafford Beer and the team he had assembled set about creating a computer network that would connect all of the factories in Chile. This was a really novel concept for the time, but there was a problem: it was the 1970s—there weren’t many computers in Chile. Stafford Beer was only able to get one computer to create his network. Their solution was to use telex machines. A telex is like a typewriter connected to a phone line. So if one factory had a telex, they could type out a message, and send it to another telex. The messages might contain data about shortages in raw material or how many workers were showing up to their shifts. 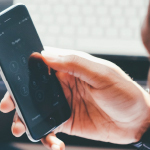 This data would be entered into the computer and analyzed, and subsequently, decisions could be made about how to address problems. Stafford Beer also wanted this complex cybernetic system to have a physical interface. And that brings us back to the bizarre hexagonal room discovered in the wake of the government overthrow. The room, conceived by Beer along with designers from Chile’s industrial design group, was meant to be for workers and higher level bureaucrats alike. 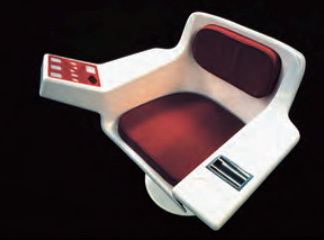 Each chair had an ashtray, a place for your whiskey glass and a set of buttons that controlled the display screens on the walls. 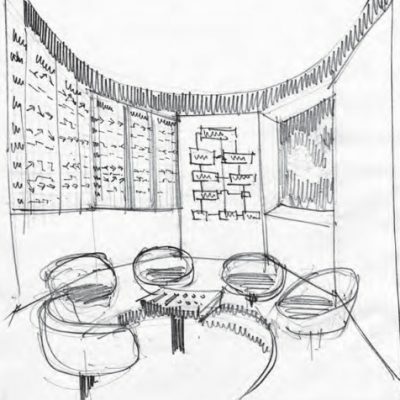 The room was an immaculate piece of design, but it concealed a clunky technology. 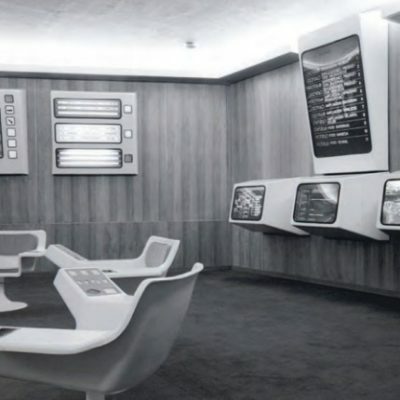 The buttons on the chairs were connected to wires in the floor which were connected to slide carousels that displayed pre-made slides. In some ways, the room seemed to anticipate a future that hadn’t arrived yet. While project Cybersyn was coming together, things were not going well for the Allende government. In the midst of the Cold War, with Latin America becoming a battlefield, the U.S. had been actively working with people in Chile that opposed Allende. Internally, unemployment was going up and inflation started to skyrocket. Then, just three years after Allende was elected, came Chile’s September 11. While the presidential palace was being bombed by a military junta supported by the CIA, Allende gave his final radio address to the country. “Long live Chile, long live the people, long live the workers,” he said. Salvador Allende took his own life that same day. It is estimated that during Pinochet’s rule about 38,000 people were imprisoned and most of those prisoners were tortured. Close to 3000 people were executed, another 1200 people went missing, and around 200,000 people were exiled to other countries. Project Cybersyn never got up and fully running. The operations room was finished but never put to use. 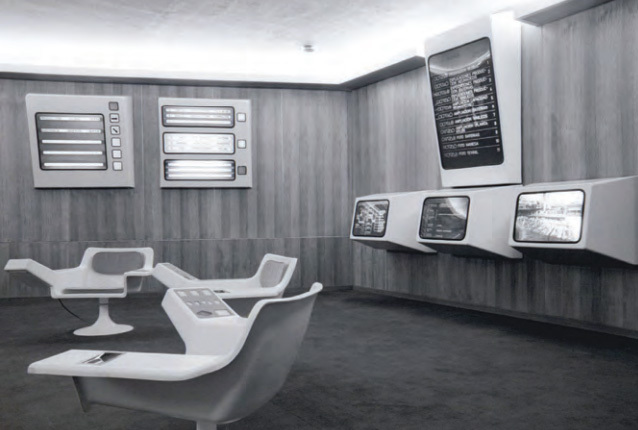 Cybersyn’s technology was unlikely to have been up to the task of helping Chile’s socialist economy succeed. But with the United States doing everything in its power to make Allende’s vision of socialism fail, maybe no technology was up to the task. In 2000, the CIA acknowledged its role in supporting the military coup and bringing about the failure of the Allende government. Fernando Flores spent three years in prison after Pinochet took power. Stafford Beer continued to lecture about cybernetics until his death in 2002. Producer Katie Mingle spoke with Eden Medina, Professor of Informatics and Computing at Indiana University in Bloomington; Fernando Flores, who worked with the Allende government after the election; and Gui Bonsiepe who worked with Chile’s Industrial design group on project Cybersyn. All images via Del archipielago de proyectos – Diseno industrial en Chile (1971-1973) by Gui Bonsiepe. Find so many more details about Cybersyn in Eden Medina’s book, Cybernetic Revolutionaries: Technology and Politics in Allende’s Chile. As a left handed person, I cannot be appreciative of the design of those chairs. They bring back bad memories of college lecture hall desks that were tremendously biased toward righties. On the other hand, if you were a lefty on that council in Chile, and preferred smoking and whiskey over operating slide shows, perhaps you were in good shape. Thank you guys for telling the world about this! I’m a chilean designer and can testify that 99% of chileans have no idea this ever existed. This episode is now my new favourite although it is bitter sweet because it talks about what could have been, what we might have been as a society if this plan hadn’t been destroyed. I especially appreciate that you pointed out how the US’s participation in the coup is now internationally recognised as a fact. It’s appalling to think that still today there are too many chileans who don’t believe this to be true and condone the atrocities committed. Even though it’s been 27 years since the end of the dictatorship, we still today live culturally crippled, abiding for example, by a corrupted constitution created during the military regime in 1973. Hopefully, generations to come will get back on the track we once treaded. I love that socialists think a cool future room where low skill level people can look at days old slides about “emergencies” hundred of miles away and pretend they are making decisions on how to run a business counts as actually doing something worthwhile. We stole this business from an actual business owner and are now running it better through imagination! Fun playtime. I don’t think you quite got how this was supposed to work. 3 British blokes try to guess all the details of Cybersyn, moderated by Tom Scott. I think the story was quite interesting, but I was bothered on how you described Allende and his government. Allende’s government destroyed Chile’s society and the economy very quickly by blatantly breaking the law, supporting violent groups and ignoring courts and Congress. It is like what is happening in Venezuela, but without oil revenue and accelerated into three years. I was disappointed that you did not do enough research. I have no complains about the rest (Pinochet et al), but not because one is against the violence that came after Allende, one should think that Allende was this well intentioned democratic president. His government was terrible for Chile, pushed us back many years and caused the interruption of Chile’s long democratic history. Also, although he won the election, Allende only got 36% of the vote and was appointed by Congress under the promise that he would respect the constitution, which he did not do. I hope this oversight only refers to this episode and does not mean that other stories are also poorly researched. The bit where the episode ‘Nationalised’ the industry was quite a euphemism. Also some not of the actual economic record of Allende’s government with rampant inflation, 5% year on year contractions and other things was sorely missed. The episode should have mentioned the ‘socialist calculation problem’ more explicitly. Perhaps even noting that as early as at least 1920 economists said this problem was exactly why the Soviet Union wouldn’t work. This is my thought exactly. 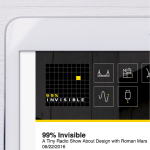 99 Percent Invisible – your shows are well produced and Roman Mars knows how to tell a good story. But you glossed over lots of facts on how the Chilean Socialist experiment was not going well for Allende and his supporters, and for the people of Chile. Granted, the US was involved with the coup, and the new regime imposed many atrocities on the the people. That doesn’t mean Chile’s Socialism was also free of its problems. Anyone that does any amount of research on this topic will see this. Flores went on to work on Lotus Agenda, another piece of technology that was ahead of its time. 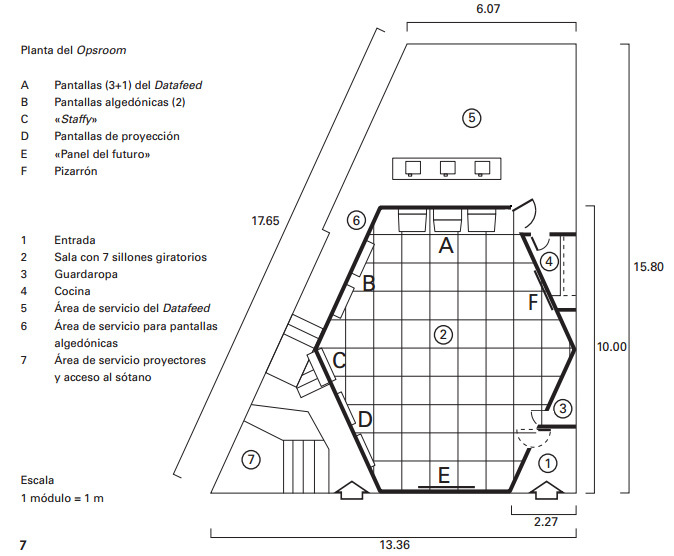 Was I the only one who wanted to know why a room designed for 7 people had only 6 walls? Great episode folks. But your assertion that “Allende took his own life” is disputed and should have been acknowledged in the production. This article on the coup by Gabriel Garcia Marquez includes a famous photograph, thought to be the last of Allende alive. In it, he is holding a gun and preparing to fight. Following the coup, the junta sought to suppress this photograph, because it undermined the official story of suicide (and the implication of cowardice). More details of the alternative accounts of his death are towards the end of the Marquez piece. I think the 99pi shown notes above should acknowledge this dispute. This was something that bothered me too..thanks for pointing it out. What I find sad is that in 2017, there are people like the producers who A) think that a misguided effort to “guide” the economy via a centralized, state-run system is something to romanticize and B) that Allende was an innocent actor in ruining his country’s economy and causing greater division. 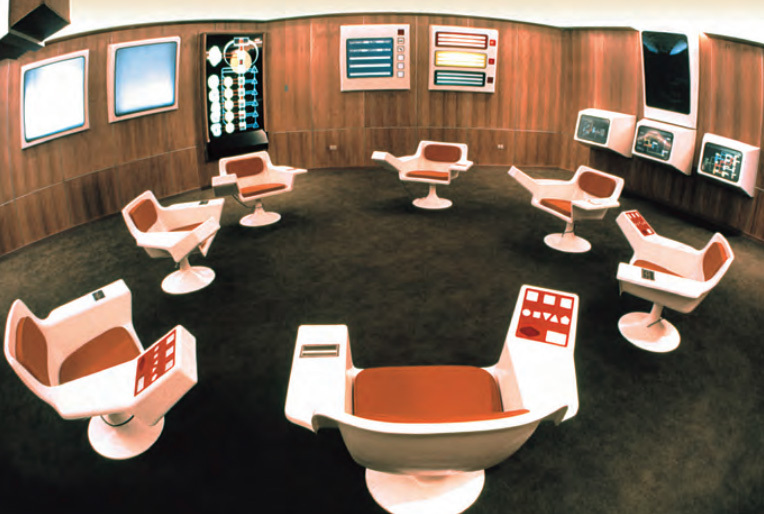 Is it sort of cool that this room existed and that the government of Chile in the early 1970’s was open to utilizing technology for the purposes of governing? I suppose so. But as far as actual “the future is here now” concepts, this comes off as comical and Rube Goldberg-like. Actual tech and science advancement was happening elsewhere at much more complex and interesting paces. I applaud the producers for one reason: Allende’s efforts show how misguided and utopian Marxist ideology is, whether democratically elected or not. And for the record, I’m no Pinochet supporter. He was a kleptocrat, a torturer and a brutal dictator. But compare him to someone like Fidel Castro (the best comparison one can make in in Latin America) and he comes off looking pretty good. Similar to brainwashed “free” market believers romantize corporate-run states? Very enjoyable, though sad too. Regardless of ones ideological position, it is important to note that the Beer’s Viable System model is specifically NOT about central control. Its aim is to delegate control as far from the centre as possible whilst maintaining sufficient cohesion and co-ordination for the parts to function for the benefit of the whole. As told by Beer, Pinochet recognised that this meant that “the people” were the arbiters of how the system should work.